Did you miss the conference and the unveiling of all the cool new features on the way? Or were you there alongside many of our other curious and committed customers? We’ve gathered the highlights and key announcements here so you can see them when it suits you. 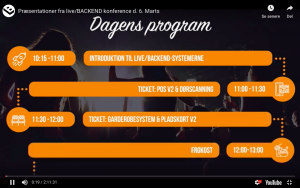 We have created a video from the conference which can be seen from the start here here. By clicking one of the links above you will be able to start the video from that specific point in the presentation. 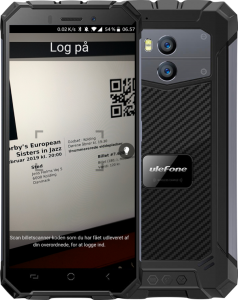 We have gotten new ticket scanners, which in durability, endurance, ability to scan in poor light conditions, poor angles etc. are superior to previous models. The scanner is designed to withstand a drop from a height of 1.4 meters, ensuring that you do not need to buy a new scanner if a guard drops it. In addition, it is possible to configure the new scanners to ensure that staff can only perform the desired actions. Managers of course have access to make major changes through their administrator access. Upcoming features: It will be possible to sell tickets and memberships directly in the door via the ticket scanner. In addition, it will be possible to search for specific tickets, to use gift cards in the door, to configure the scanner speed as well as to scan several type of tickets, e.g. wardrobe and concert tickets in the same login. It will soon be possible for guests to use SMS payment when purchasing tickets or paying for storage of jackets in the cloakroom. 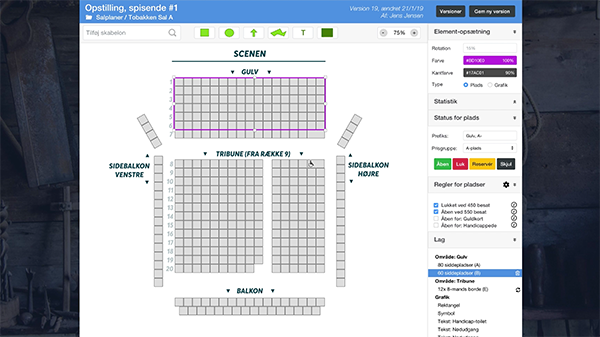 Here the user sends an SMS, for example “Posten” to 1204, after which the user receives a link to a page with a QR code which can be read by the ticket scanner. The amount is automatically deducted over the user’s mobile subscription through Premium Rated SMSes. This is yet another excellent proof that the old SMS can be superior in functionality. The SMS solution especially makes sense at cultural institutions that experience long queues at the cloakroom. Here, for example, an “express lane” can be made for the guests who have used the SMS solution. Today, seat maps are made free of charge. In addition, all setups are supported, which are able to open and close seats continuously and ensure that so-called jacket seats don’t occur. This is when there is an unused seat between two occupied seats. 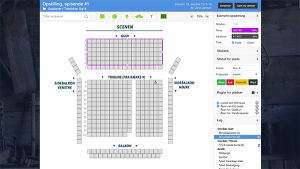 The possibility to split seat maps into small templates. The option to edit seat maps after sale has started. The possibility to move guests easily. The possibility for guests to easily see their seats. Overview of affected guests when changes are made. Completely self-service and 100% web-based. We are in the process of developing a simple and intuitive app, which is aimed at volunteers and student assistants in particular who works at cultural institutions. 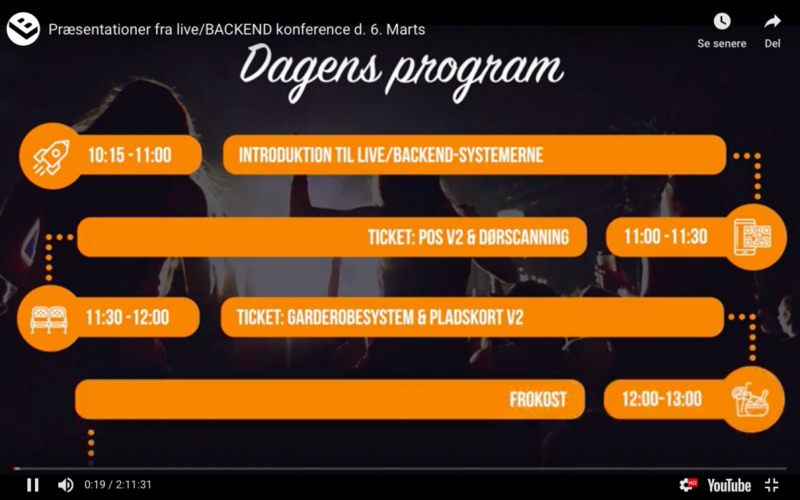 The app obviously works on both Android and iOS, and will be an integrated part of the live/BACKEND Event package. The app will make it possible to get a quick overview of registered watches as well as watches in tenders. At each watch it will also be possible to include instructions and ask questions in a comment field. There is automatic communication integrated in the app, which makes communication between all parties smooth. If a watch is changed, all relevant persons will receive an automatic notification via a push message. In addition, it is possible to call in sick via the app, after which managers is notified immediately. It will later be possible for managers to handle the most important things directly in the app, e.g. issuing and cancelling watches as well as other changes. 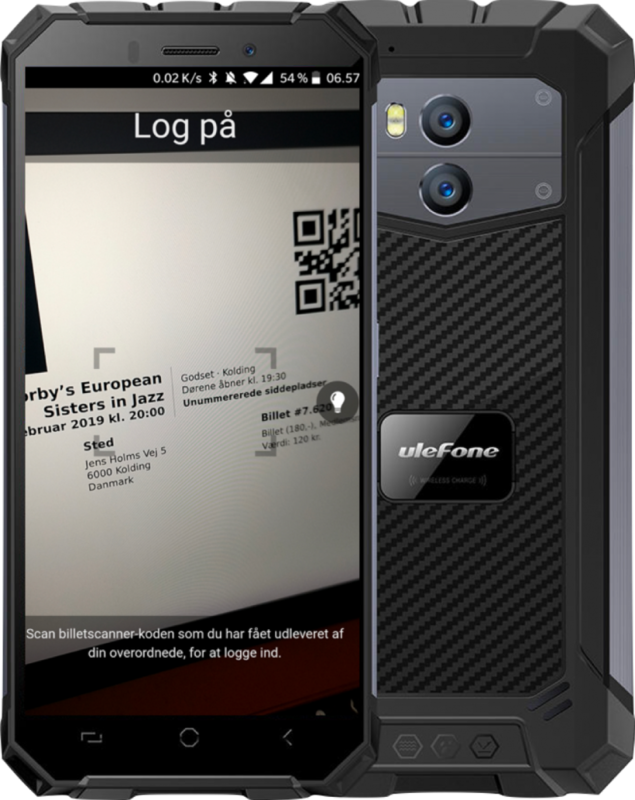 The app has been tested at ‘Godset’ in Kolding, Denmark. After the presentation, there was an overwhelming support among the other cultural institutions to help beta test it. 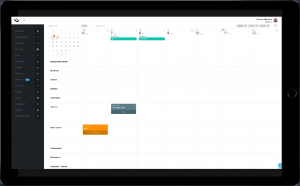 The purpose of the new lists and calendars is to provide a quicker and more clear overview. We have upgraded the underlying engine, which has made the calendars and lists a lot quicker. No matter how many things you have poured into the system, startup and navigation will now be running smoothly. In the future, it will be possible to see relevant information from the calendar in a widget on the dashboard, so it is all in one place. The new list module also provides an easy and clear overview, among other things through color codes and the ability to configure the dashboard. The list module can be used by a large number of different employees who can use it in exactly the way that makes sense to them. This was especially evident at the conference, where live / BACKEND users shared a number of different application options for the list modules. Even applications we had not considered at all when we developed the module. One of the many upcoming features is the ability to manage events directly from the calendar, so that an event can be moved through drag and drop. The resource module is used to keep track of all resources associated with the organization, e.g. chairs, tables, wires, walkie-talkies, lights and entire rooms and scenes. At all events, it can be specified which resources are to be used, which creates a fantastic overview and ensures that relevant personnel get a notification, if there are conflicts, e.g. if two employees want to use the same resource at the same time. The resource module has an independent calendar to keep track of when the resources are used. This calendar automatically sends info to the main calendar, which allows the planners to get an overall view. Upcoming features in the next sprint is a dashboard widget, email receipt when booking resources and a booking process on the website that allows outsiders to easily book rooms for their own events. Gathering the live/BACKEND family proved to be a great success. There was both internal knowledge sharing and discussions, feedback on new products and concrete assessments of the various products based on first-hand experience. It is certainly not the last time we put together this kind of event, and we aim to make it a new family tradition. It is important to us that when choosing live/BACKEND you do not only choose an IT solution, but that you also become part of a network, and that you get the opportunity to influence the development of the platform. Our concept is based on, among other things, that customers can get new features developed for free if the function can be used by other customers as well. This gives a unique opportunity to get customized solutions by top developers for free.